Here is something sweet for my Victorian tea party challenge! 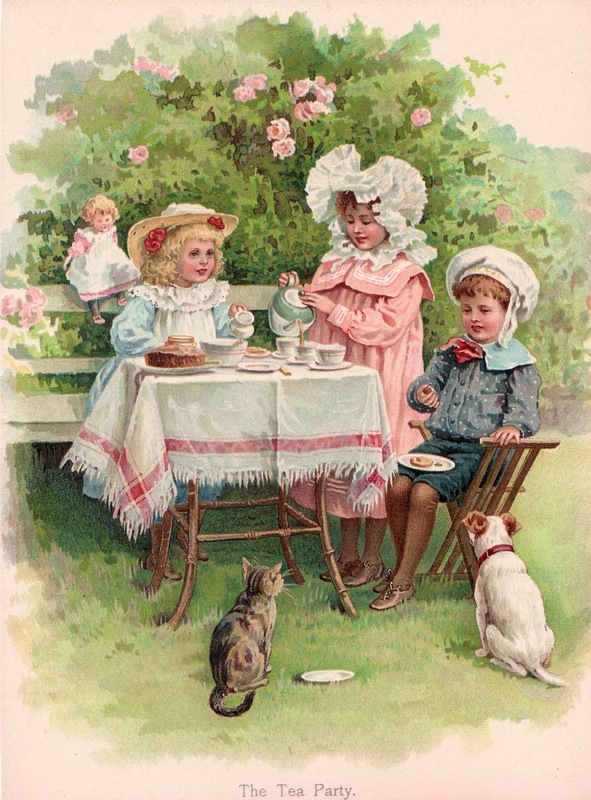 These little girls and their little brother (that's my guess) are having a tea party among the roses. Miss kitty cat has a saucer of cream, and the puppy dog is hoping for a cookie! Looks like a fun afternoon, and I hope you'll have fun using this picture. Click on the image to get the full size, save to your computer, and resize as needed. Hi can you use this image for a book cover?